While on our recent flight, when my daughter asked for a caramel popcorn snack, I obviously restricted her not only due to the white sugar caramel.. but I could imagine a long list of unnecessary components dancing their way into the box. I was and am truly scared of the butter… too much salt… baking soda…. corn syrup… preserving agents and other unknown ingredients in the pack. I know I sound quite obsessed with healthy food. 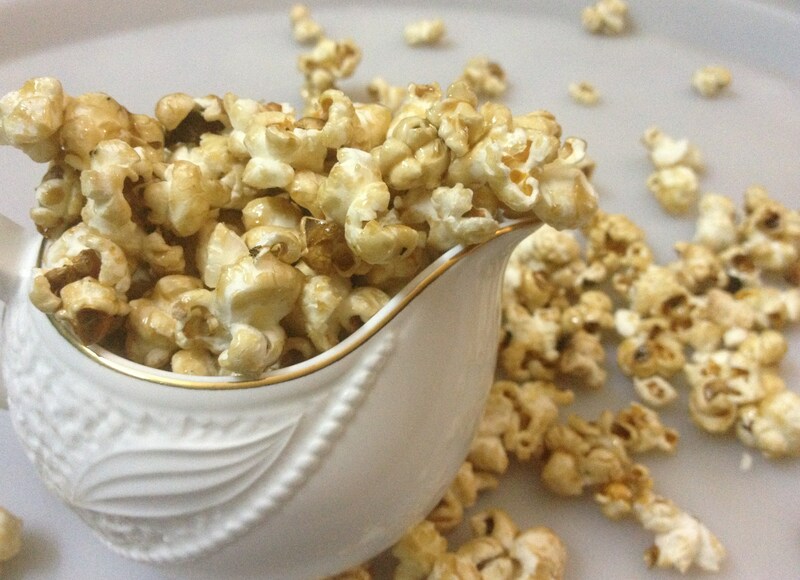 And as always, I promised her to make a healthier version of Caramel Popcorn at home. Though in a while relaxing my obsession, I bought her a pack of caramel popcorn and tasted to find the original taste and texture of it. Crispy, buttery, salty, perfectly sweetened with caramelized sugar – it definitely tasted good. Reading the ingredients, I couldn’t control the guilt of having those unwanted preservatives and unknown elements included in the pack to increase its shelf life. 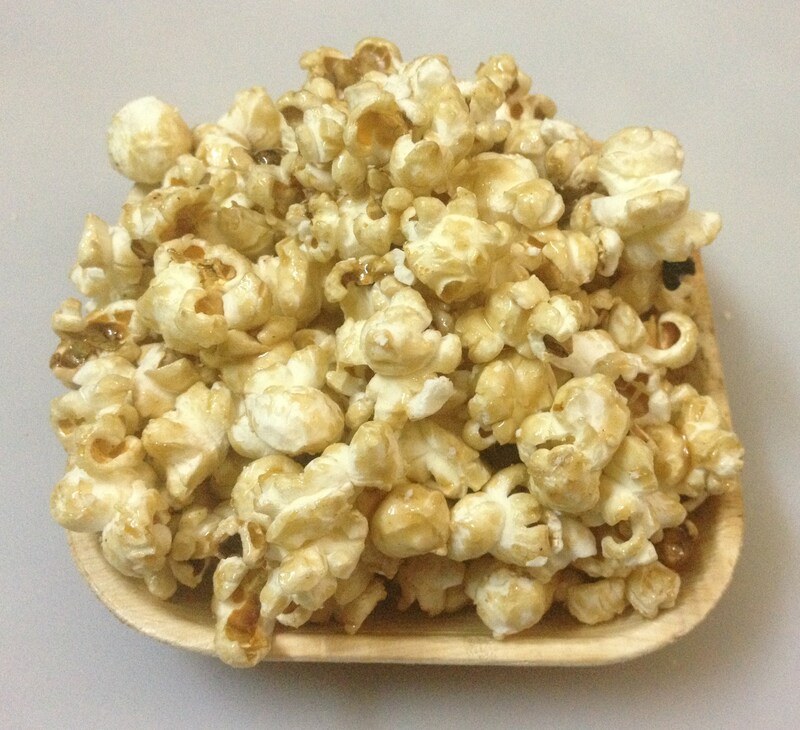 Now, to keep up the promise..(by the way, I am approximately 75% good at keeping up my healthy promises in the kitchen), I decided to try a healthy caramel popcorn version not altering the taste of the packed junk that we had. 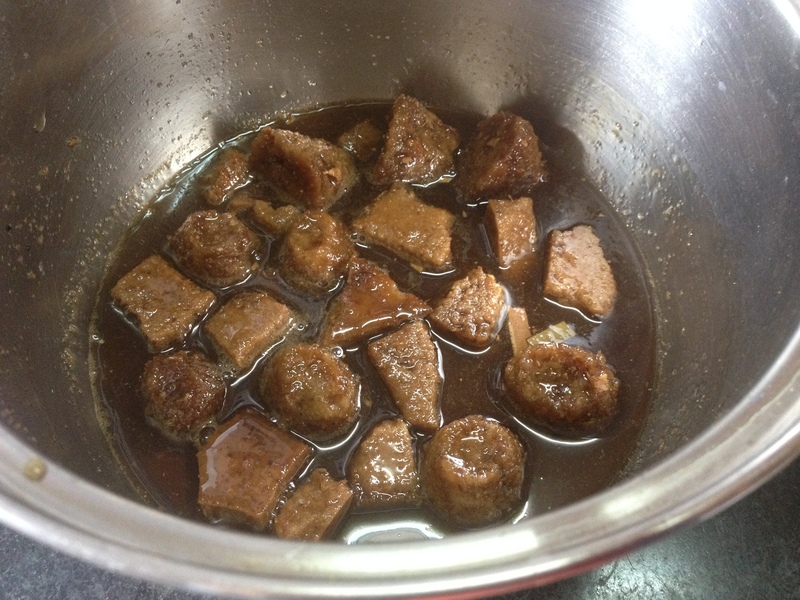 Off late, I have been quite successful in making peanut and sesame candies with jaggery syrup. 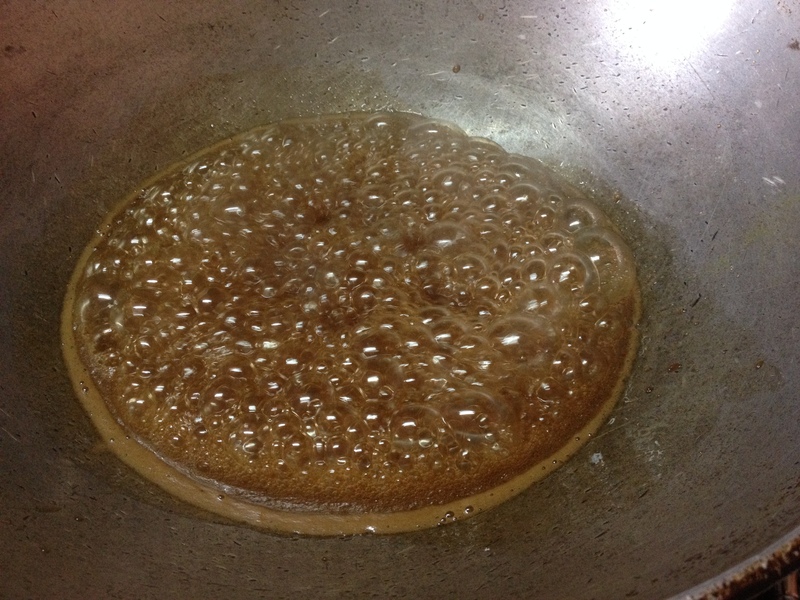 With that confidence of getting the right syrup consistency, I went to fetch cane jaggery from my storage. In a corner, I saw the ‘chukku karuppatti’ specially bought from Thiruchendur Temple. Chukku Karuppatti is a flavourful/healthy combination of palm jaggery and dry ginger, moulded for storage in a hand-made palm leaf box. 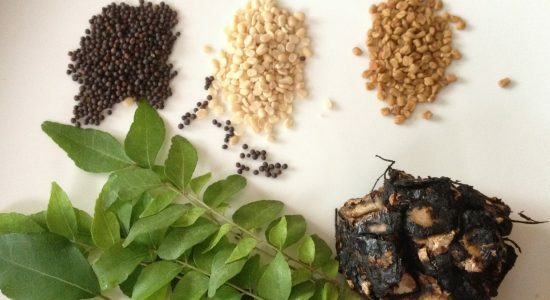 It is a household remedy for cold, cough and indigestion. So, you guessed right… caramel would be made from ‘chukku karuppatti’ – ‘dry ginger palm jaggery’ – that would aid in digestion too! 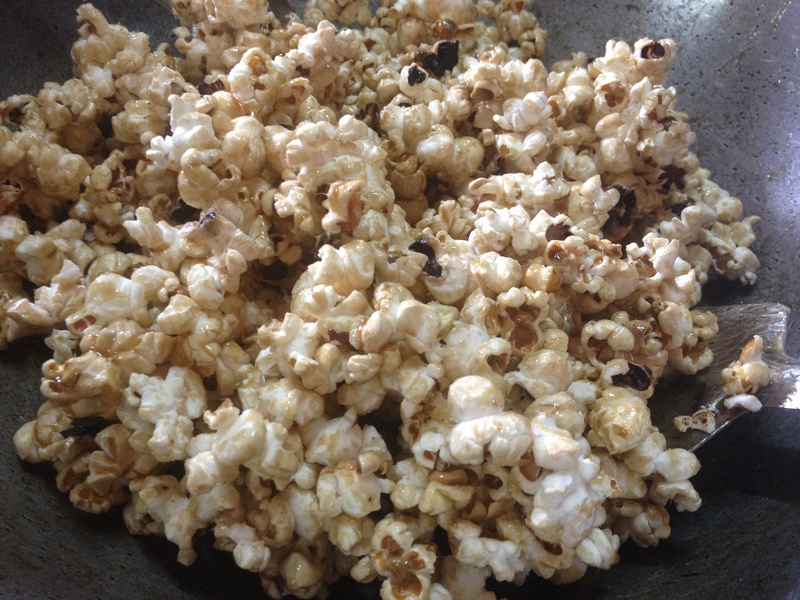 Here’s how I made it .. from scratch… with dry corn and no added ingredients. 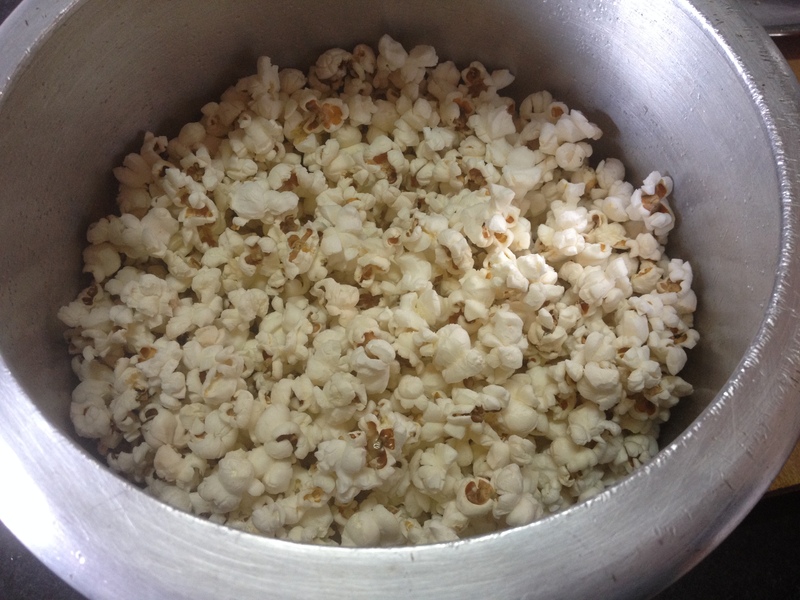 I prefer the taste of popped corn made from the humble pressure cooker than one made in a microwave. It is truly a great feeling of satisfaction and pride to have fulfilled a promise given to your young one! Next Post The Macaroons of Thoothukudi – Cashewnut Goodies from Coastal Tamilnadu! 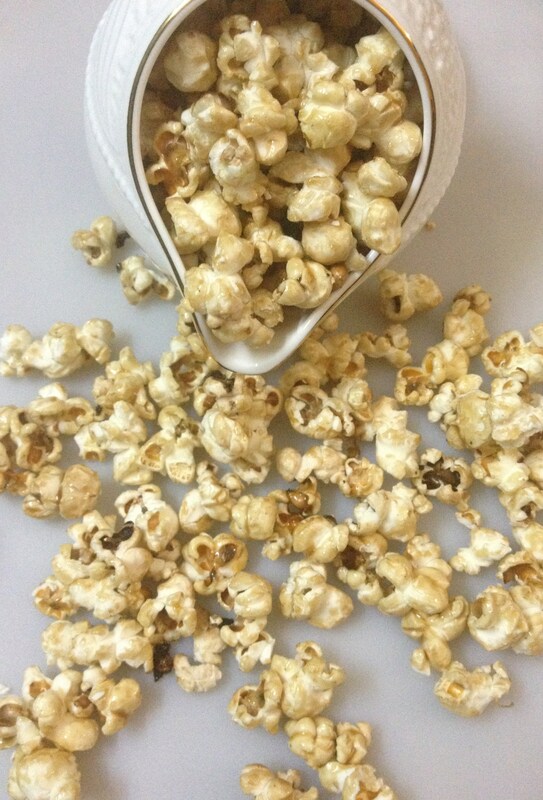 Thanks for the recipe, I was wondering how is caramel applied on popcorns. Now i am going to try this at home.